Are You Not Feeling Like Yourself Because Your Face Is Changing? Would You Like To Have Your Youthful Skin Back? When we begin to see facial changes; wrinkles and flattening of facial structure, it can be depressing and discouraging. Some of us have heard these comments on a day that you are feeling great, but because of facial changes people are seeing a constant frown or a tired look. There have even been several studies in medical literature on the positive effects of botox and it’s effect on depression. There have been other studies relating the positive effects of this type of improvement and its relation to self-esteem and how others perceive you. Are you feeling like you would like to make a change? Do you hear some of these comments from others? What can I do to not look so tired? How can I get rid of these frown lines? Why have my lips flattened out? Why is my mouth turning down? Can I slow the facial changes down? Can I fix them? Mistake #1: Assuming that as part of getting older you should just accept the changes. Mistake #2: Believing that if you do any enhancing treatments it will look fake and obvious. Mistake #3: Thinking treatments to enhance the face are too dangerous or too painful to try. If so, then we have a special opportunity for you. We save a limited number of spots each week for people who are not sure what type of facial enhancement treatments are right for them. That way, you can tell a qualified professional your story, and get your question answered first, before ever making a commitment to do a treatment. Usually the treatment can follow this quick consultation if you decide it is right for you. Remember, you can make changes that are subtle but effective. Many of our patients report that after their treatment, they hear “Wow, you are looking more refreshed” or “I’m not sure if you have been using new skin care products, but you look really good…. You see, with subtle changes, others will see something new and refreshing about you, but they are not sure exactly what is different. Many people worry what others think about facial treatments instead of putting their desire to improve first. Some people get stuck trying to make a decision about what to do next. At Olympus we may have the solution for you with! 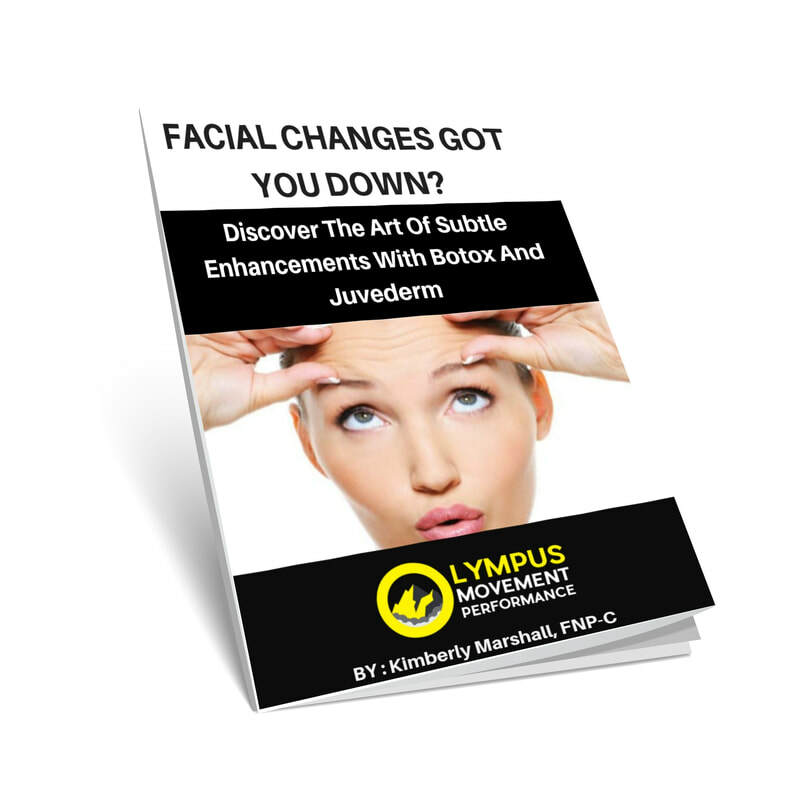 By safely, effectively and artfully using Botox and the Juvaderm collection of filler products you can decrease these bothersome changes in appearance. 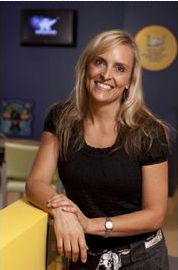 Our services are provided by Kimberly Marshall FNP-C, who has training, experience and a passion for the art of building self-esteem and improvements in facial appearance. "I had a great experience with NP Kimberly for the lip filler and botox treatments. Kimberly is great at making you feel comfortable during treatments, fully explains the process, and listens and understands what you want your end goal to look like! I am very happy with the results and my husband loves my fuller lips. She did an amazing job and I highly recommend her. Front office is always very friendly as well!" "My crows feet… It’s like they’re not even there!" "I cannot believe what a difference this made! It’s literally life changing for me. I was in such a bad place mentally about aging and my looks. ​I feel refreshed and youthful again."